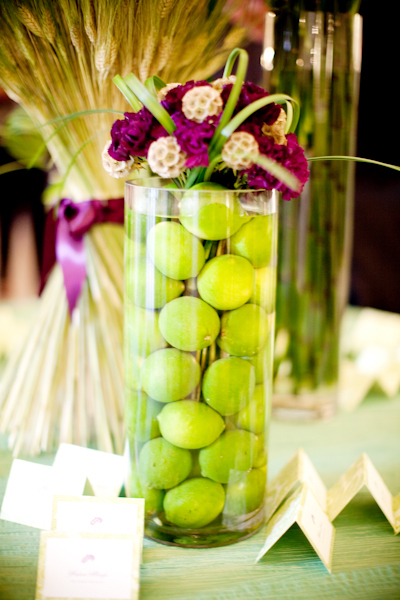 Fruit anyone? 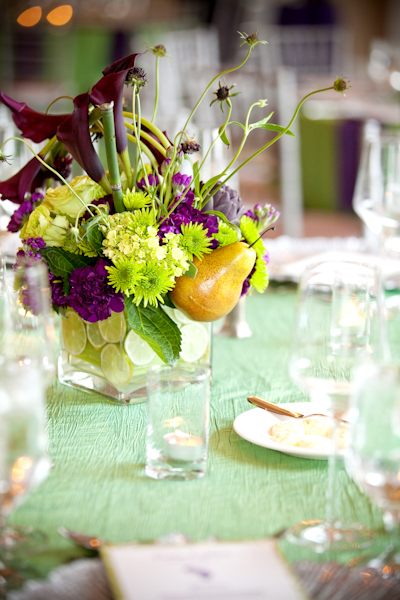 Each of these designs features at least one type of fruit. 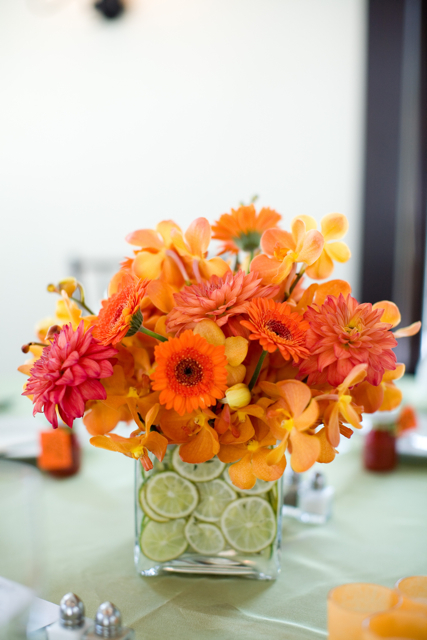 We had a blast creating these designs so I just had to pass along these pictures for you to enjoy. 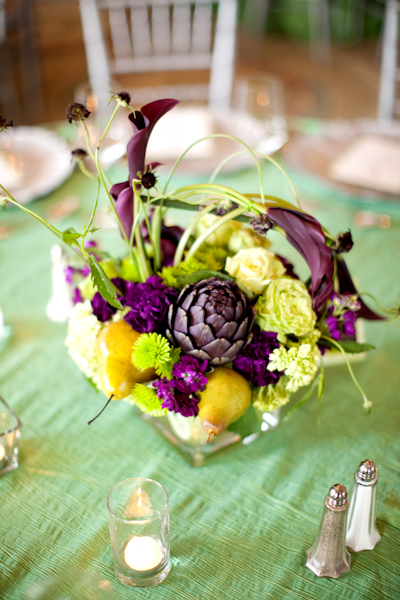 Have you considered using lemons, limes, artichokes, pears, or any other fruits or vegetables in your centerpieces? 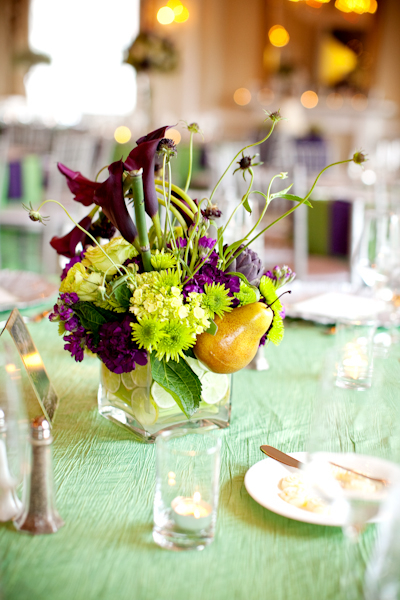 The look is stunning and very fresh!! 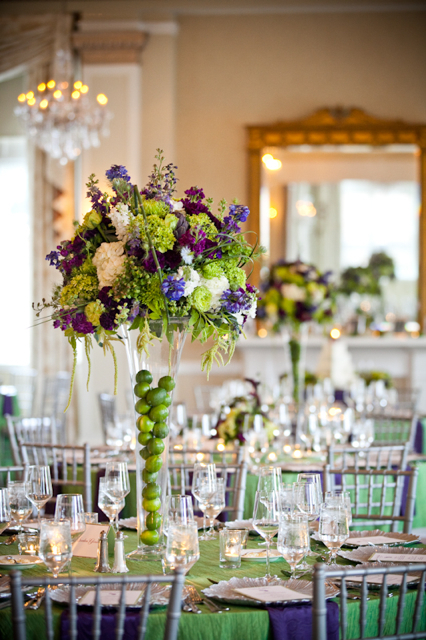 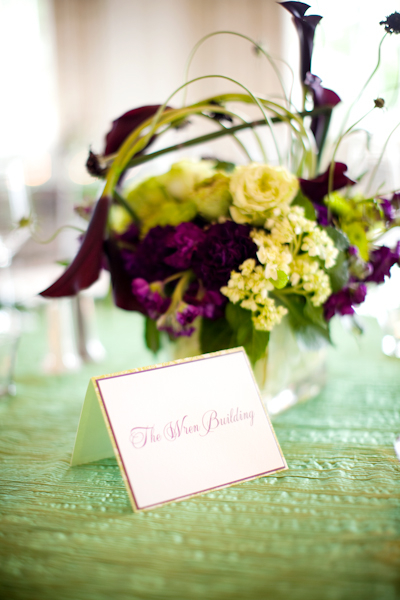 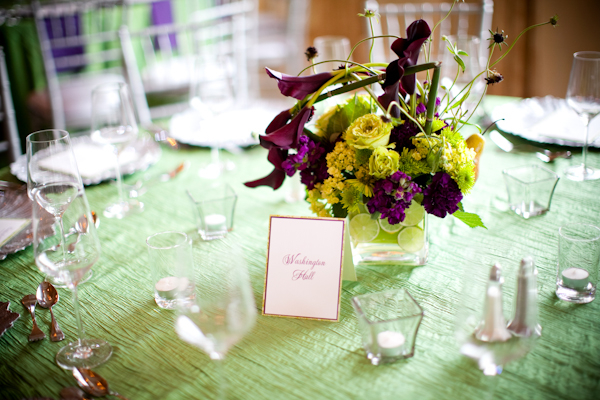 Purple and green flower arrangements photographed by Geneveive Leiper. 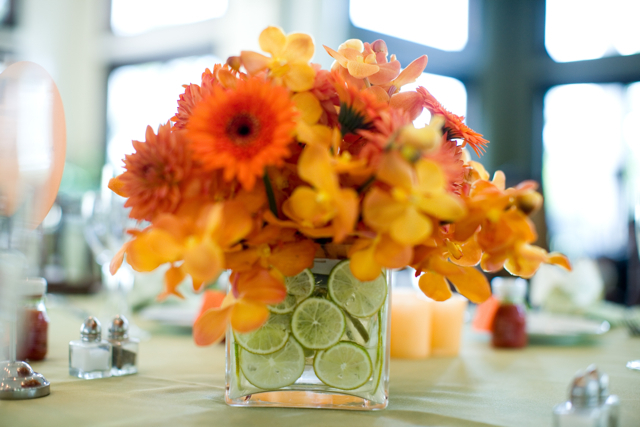 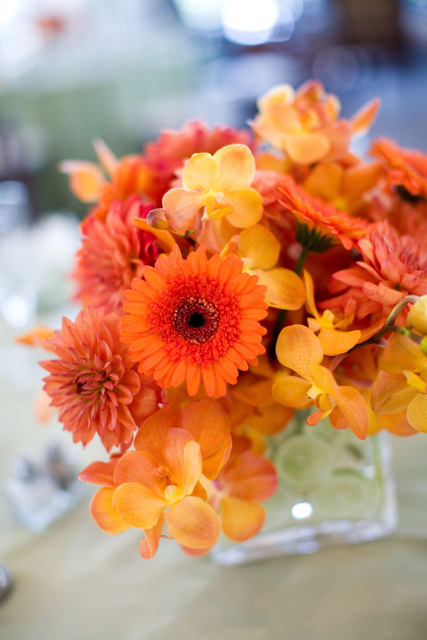 Orange centerpieces photographed by Amy Martin photography.